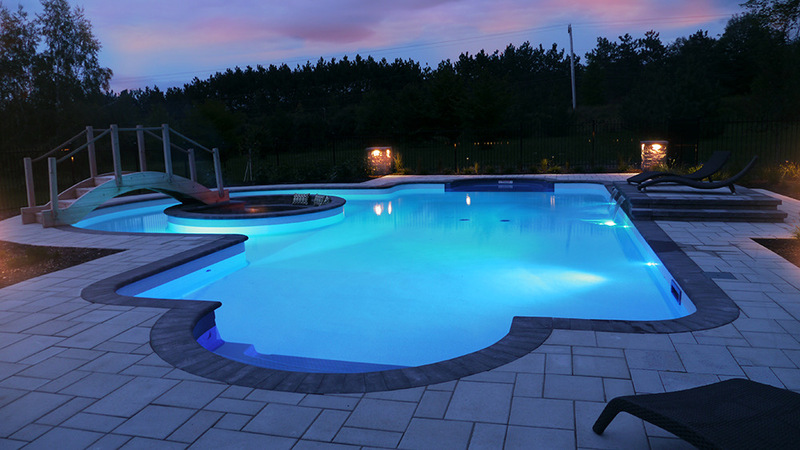 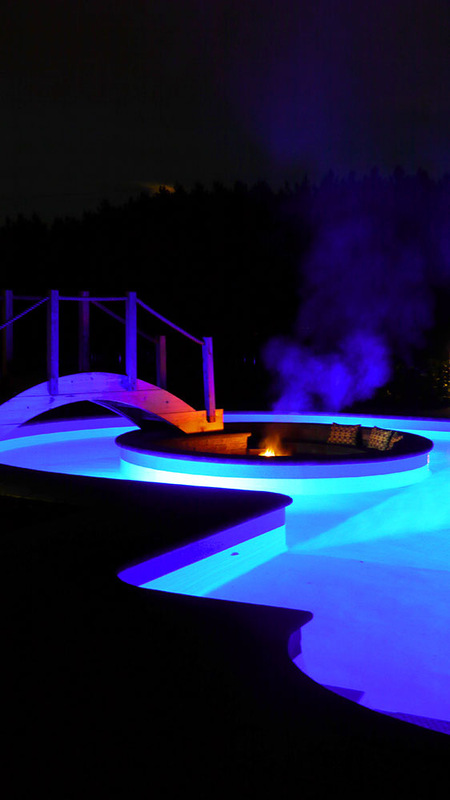 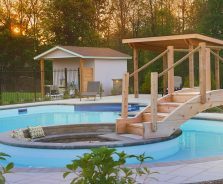 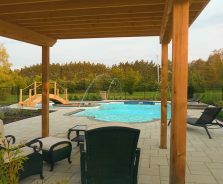 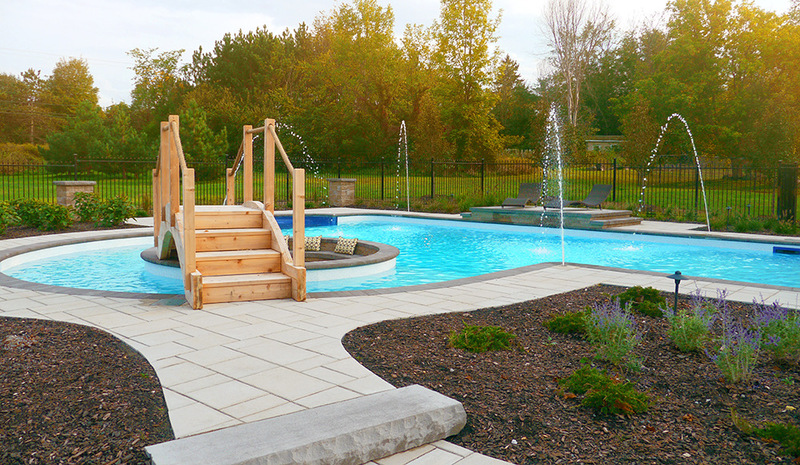 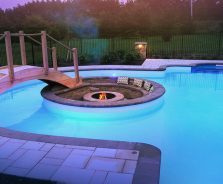 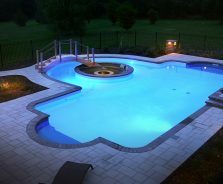 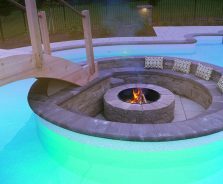 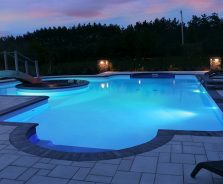 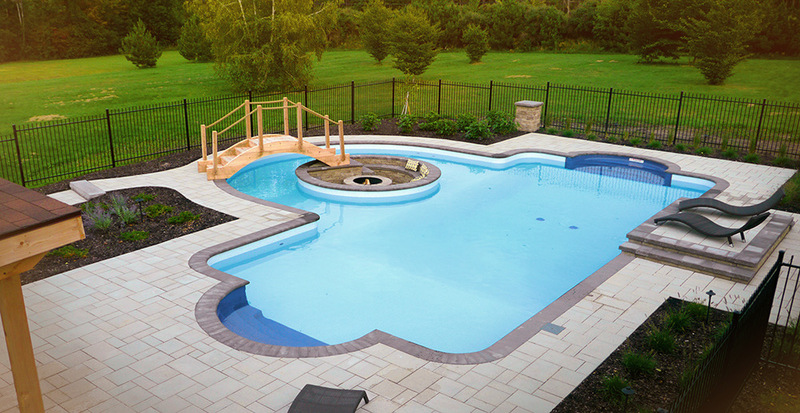 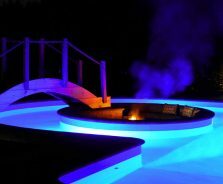 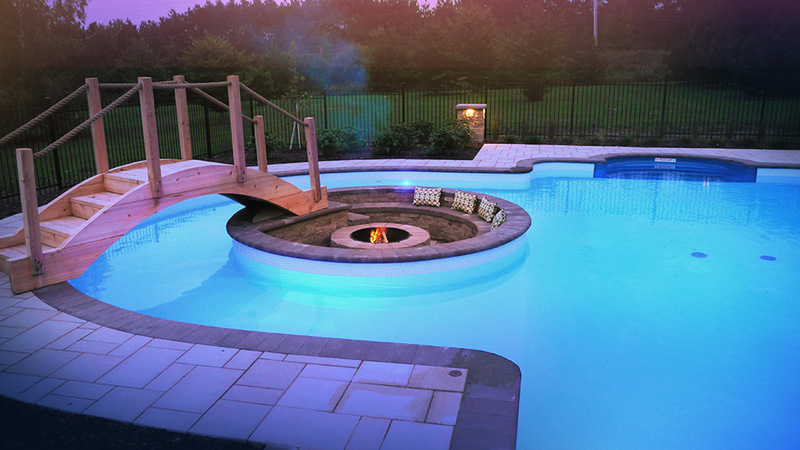 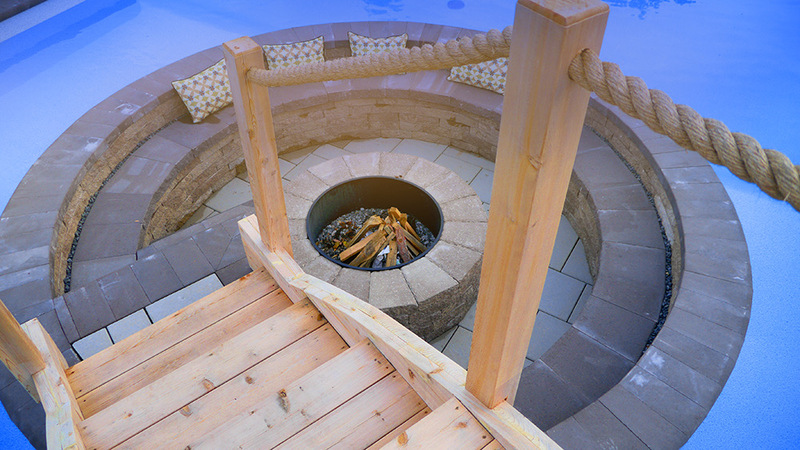 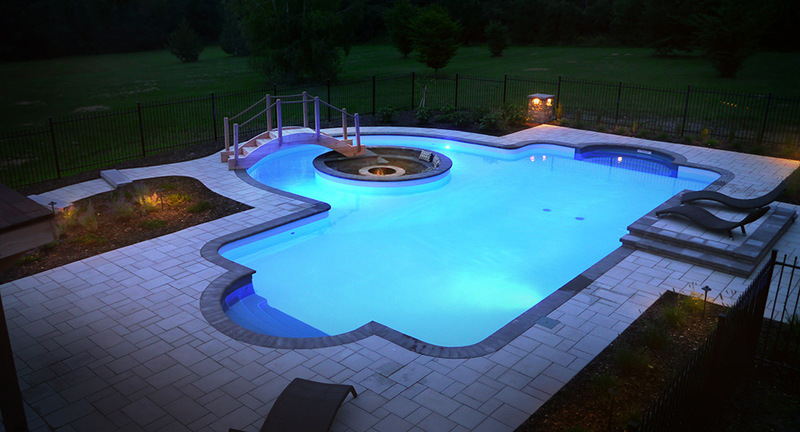 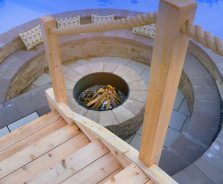 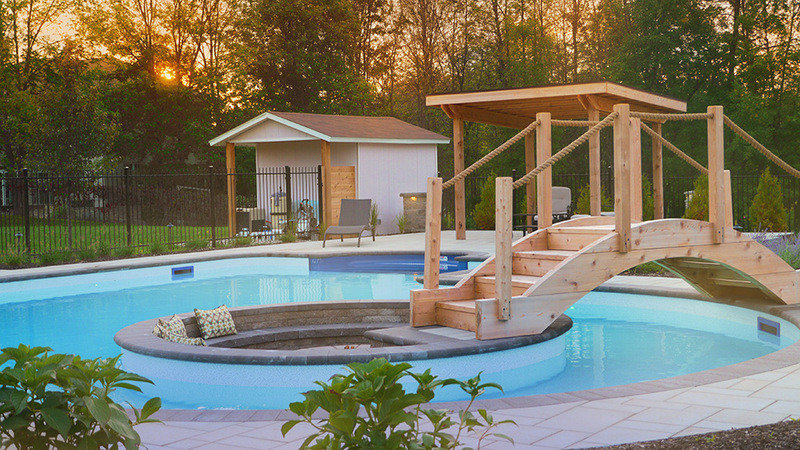 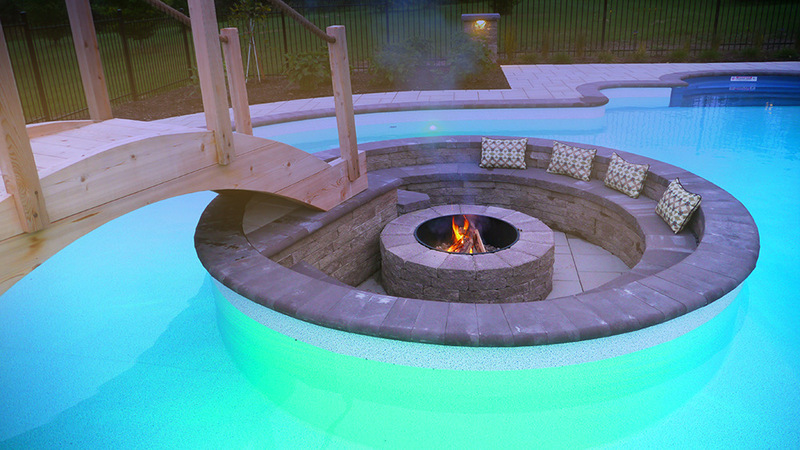 The centerpiece of this oasis just outside Kanata is stunning: a wood-burning fire pit that sits, across an arched cedar bridge, in the center of a custom-designed pool. 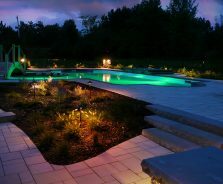 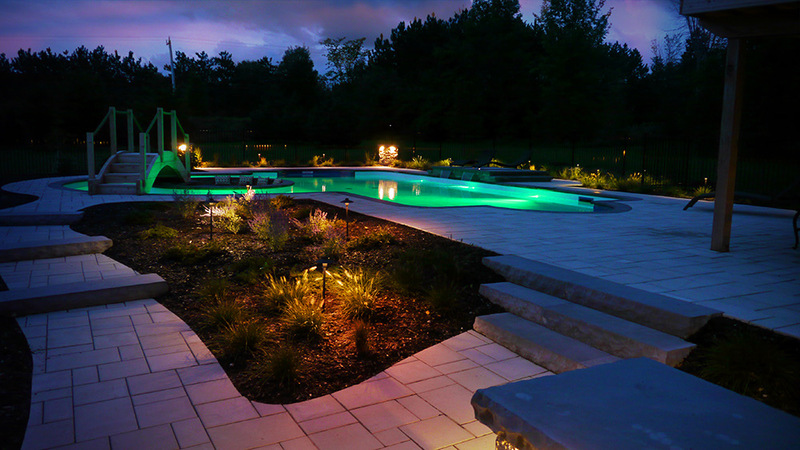 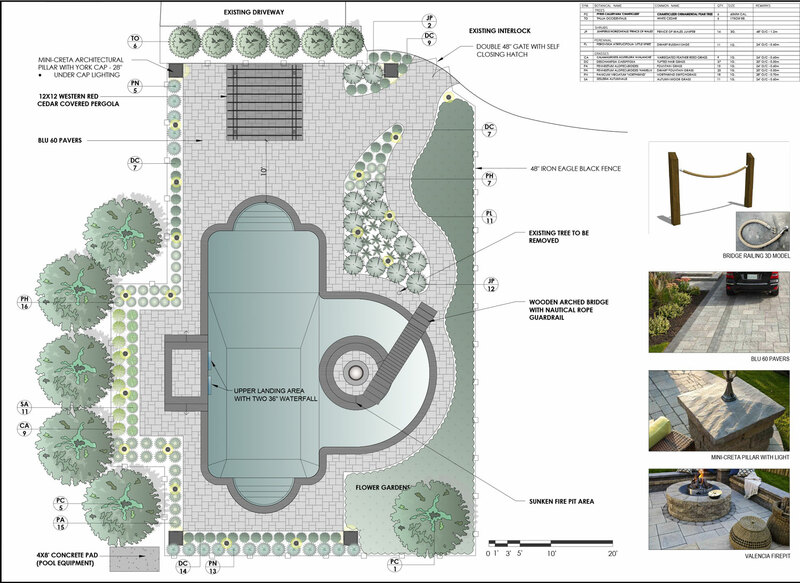 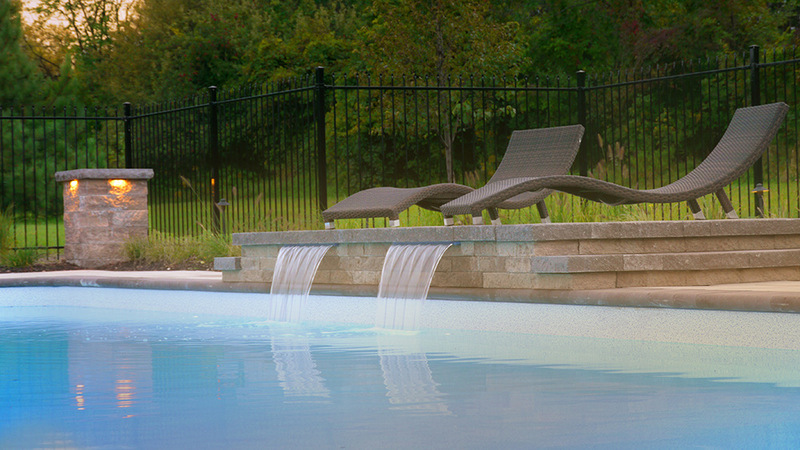 The homeowners had a vision for their dream backyard, and the Exact Landscapes team wanted to ensure we hit every detail. 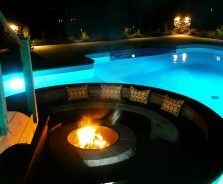 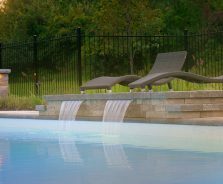 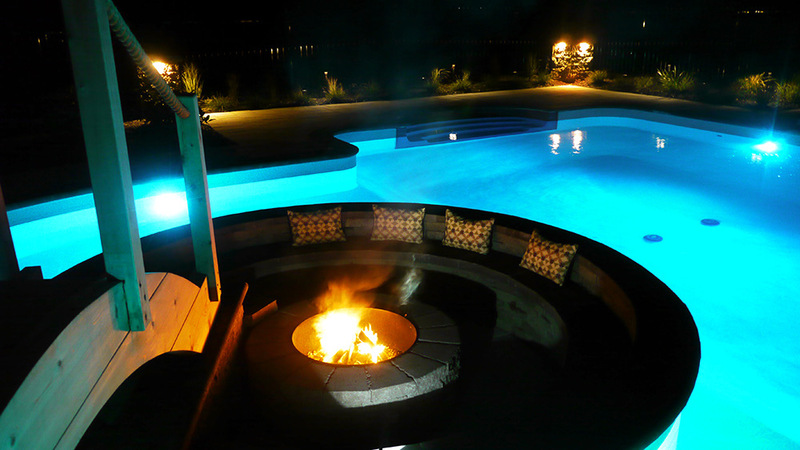 A place to entertain clients, friends, and family or a lounge spot for an intimate evening at home, this backyard resort combines fire and water to create a dynamic environment for any occasion. 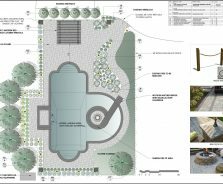 © Copyright 2019 Exact Landsacpes ltd.